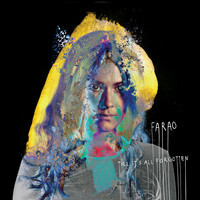 Farao is the nom de plume of Norway’s Kari Jahnsen, creator of one of the most striking debut albums of 2015. 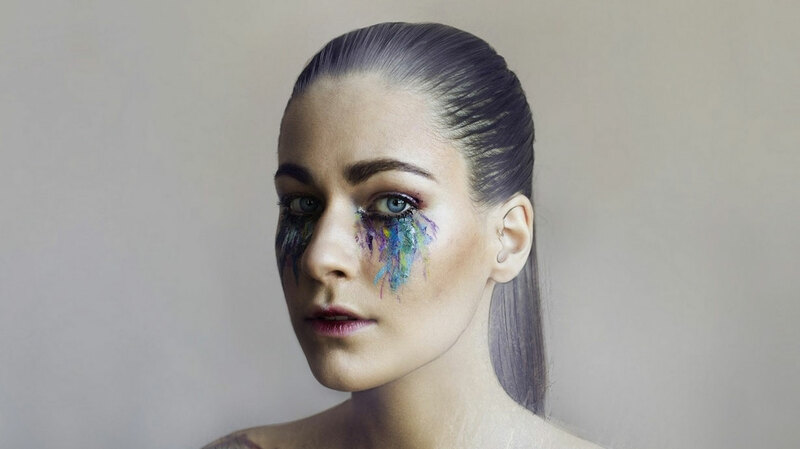 We caught up with the singer-songwriter and multi-instrumentalist to hear more about her musical journey, and to dig deeper into the inspirations behind Till It’s All Forgotten. Hi Kari, where are you today? I’m on a Norwegian tour at the moment. Right now, I am on my way to Bodø in northern Norway to play a show tonight. You were born and raised in Norway, right? Yes, I grew up in Ulnes in Valdres, a tiny village of 500 people, up in the mountains. I’m a mountain girl. That’s what I wanted to do with the album: erase what I don’t like about my life and start over again. Singing in the church choir when I was very young, along with my friends. I’m not religious at all, but it was the only place to express myself musically. I don’t know if I would be a singer today if it wasn’t for that. Not at all. None of my family members are musicians. My mum listened to a lot of Norwegian country music when I was growing up, a very weird and horrible genre that’s huge in Norway. My oldest brother would listen to Dire Straits and Pink Floyd, and though they are certainly not my favourites, it caught my attention as something of quality. It made me start to listen to punk/rock in my early teens and I fell in love with Dave Grohl, like girls nowadays fall in love with Justin Bieber. I was obsessed. Who else has inspired you to make music? I started listening to a lot of punk rock in my early teens, like Nirvana, Foo Fighters, Turbonegro and stuff like that. In my late teens I started obsessing with more alternative/indie music, like Radiohead, Sigur Rós, Björk, Flaming Lips and Sufjan Stevens. Now I’m listening to a lot of Nigerian Afrobeat and disco, like William Onyeabor for example, and also Broadcast, Gold Celeste, Jaakko Eino Kalevi, Kraftwerk and Can. Off the top of my head! When did you begin making music yourself? I didn’t have anyone to play with in my home town, but started playing guitar by myself when I was around 16. The first time I was in a band was at the age of 19, when I moved away to study music. I remember feeling like I was a step behind the other students that had been in bands since they were early teenagers. They knew so many things that I didn’t, and it made me feel insecure about being good enough. You moved to London five years ago, right? Did you find a musical community here? I find there’s not really a sense of community in London, like you would find in smaller places like Oslo, or Reykjavik where I recorded my album. London is just too big. It’s very difficult to survive as a musician, especially economically. You have to work so hard and pay so much rent, and there’s not much time left to just hang out and let life inspire you. You have to schedule everything weeks in advance and your day is almost always pre planned. It made me feel very stuck and uninspired, so I moved to Berlin earlier this year to get new inspiration, break the routine and have more space and time to work on my music. Berlin is amazing for that: so vibrant, full of artists and time just seem to go by slower there. So, for the benefit of anyone yet to hear your debut, what can they expect? It’s a beautiful record. Did you have a strong artistic vision for it, when you began? I didn’t really have a set goal sonically, before I started to record the album. I feel like that’s something almost impossible to plan in advance, at least for me. While recording you just have to hope that this magical combination of sounds finds you and leads you through the recording process, instead of the other way around. And where do you look for inspiration for the lyrics? The lyrics are mostly about me, but written as if they are about someone else. I was heavily inspired by my favourite film ‘Eternal Sunshine of the Spotless Mind’, and the fact that Clementine erases her memory as soon as something gets difficult. That’s what I wanted to do with the album: erase what I don’t like about my life and start over again. The album title references Lacuna Inc, the clinic that erases memories in ‘Eternal Sunshine...’. The temporary album title was actually “Lacuna” for a while, before I decided on Till It’s All Forgotten. I feel like it sums up what I wanted to do with the album both pre and post-recording. Finally, what’s the plan for the rest of 2015? We will be touring around Europe through end of November, and after that I’ll spend the rest of the year working on new material and taking a long awaited Christmas holiday. I also have a new Soviet disco project on the go!